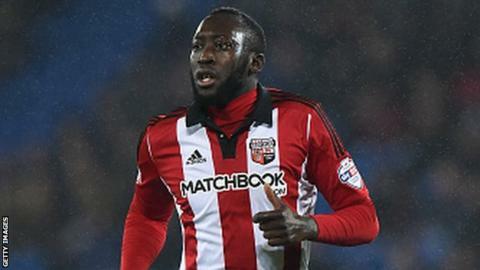 Rangers have had a bid for Brentford midfielder Toumani Diagouraga rejected. The Championship side value the player higher than the Ibrox club's offer. Diagouraga, 28, who played under Rangers manager Mark Warburton while he was in charge of Brentford, has made 25 appearances this season following last season's loan spell with Portsmouth. Rangers have already added to their squad in this transfer window, bringing in goalkeeper Maciej Gostomski on a six-month deal. Accrington Stanley duo Josh Windass and Matt Crooks have both signed pre-contract agreements and are due to arrive at Ibrox at the end of the season. Crooks and Windass were accused by Accrington Stanley manager John Coleman of being "disrespectful" to the League Two club's fans by going on social media to say they are "buzzing to play for a massive club".